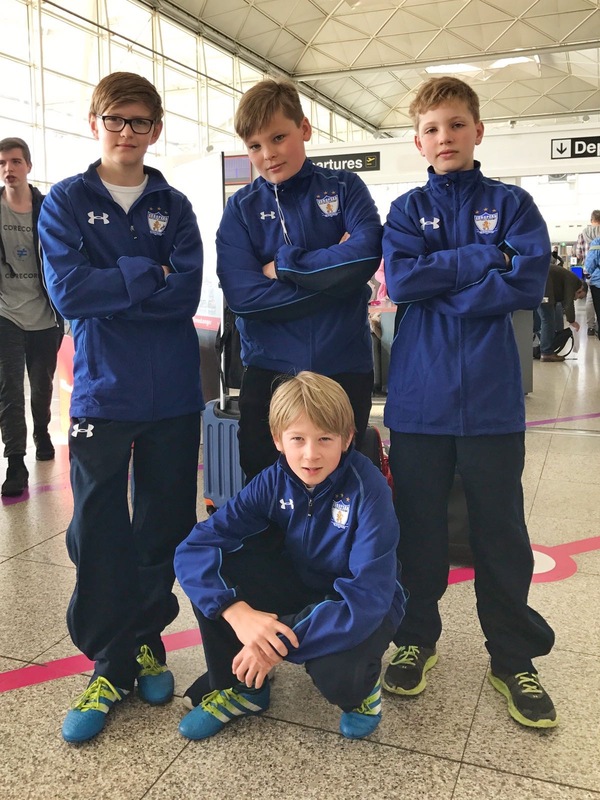 SCP 2017 – The EFA Coaches arrived to the airport to find an excited group of players dreaming about the fantastic experience they were about to live. The plane took off at 11.35am as expected. While in the air, excitement was mixed with sleepiness, with many of the boys taking time to have a special chat with their pillows. We landed and were soon picked up by the Sporting Lisbon bus that readily took us to the Academia de Alcochete, the famous Sporting CP Youth Academy. The boys were extremely enthusiastic about the idea of being at the Academy that produced stars like Ronaldo and Figo. 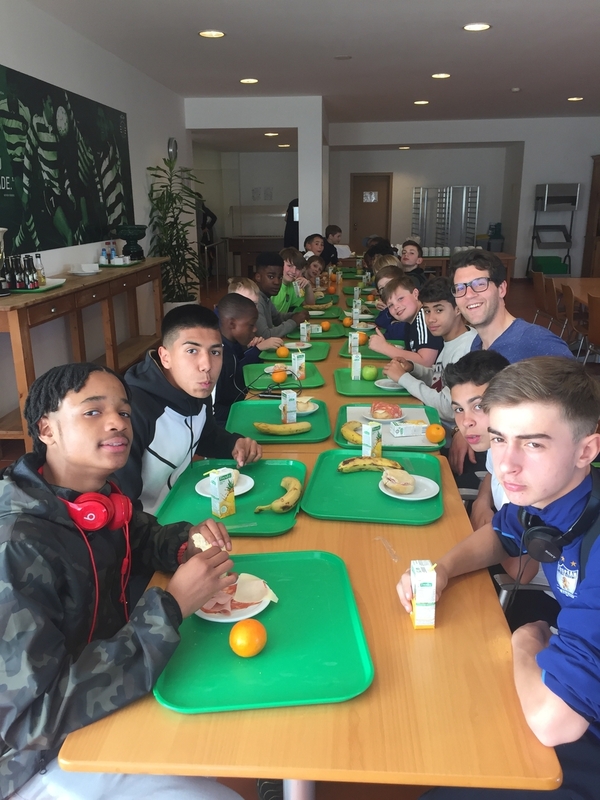 But that excitement was paused as we were all hungry and our bellies were craving for a healthy afternoon snack before the first 1 hour and a half of training with the Sporting Lisbon Youth Coaches. Excitement and anticipation was met with awe and amazement! Lots of green pitches and immense space to play our beautiful sport football, According to them the conditions are incredible! … Our goalkeeper ironically pointing out: “Compared to Clapham Common it’s okay 🙂 “. 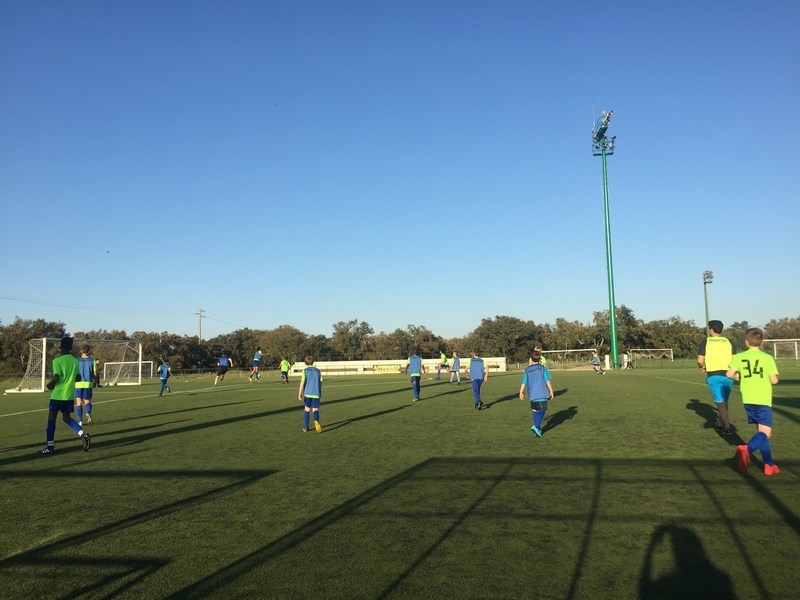 The weather was hot, around 25C, but the boys enjoyed this session thoroughly and had their coordination and positioning complimented by the SCP Coaches. According to them, the objective of the session was to determine the different levels of football skills we have so they could plan the following days training sessions appropriately. In the evening, dinner included soup, salad, bread, rice or pasta, chicken/fish and jelly and the boys already knew our expectations for them: eat well to be healthy and perform even better, and they sure complied! The day ended with some fun in the games room, playing table tennis and playstation and an early night to bed in anticipation of the next days training.